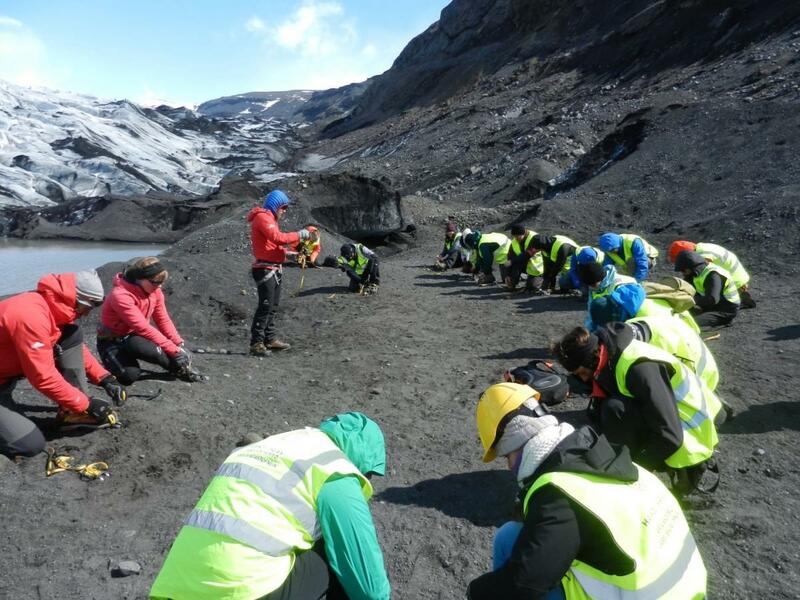 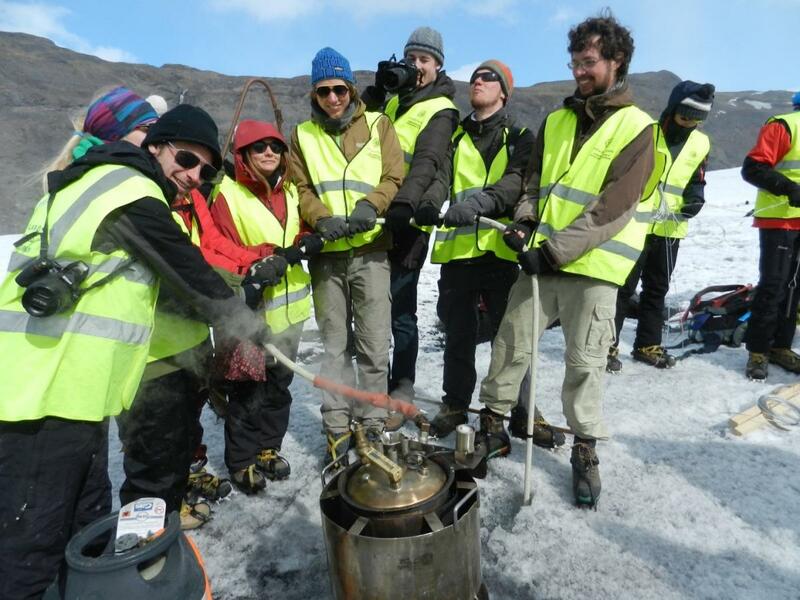 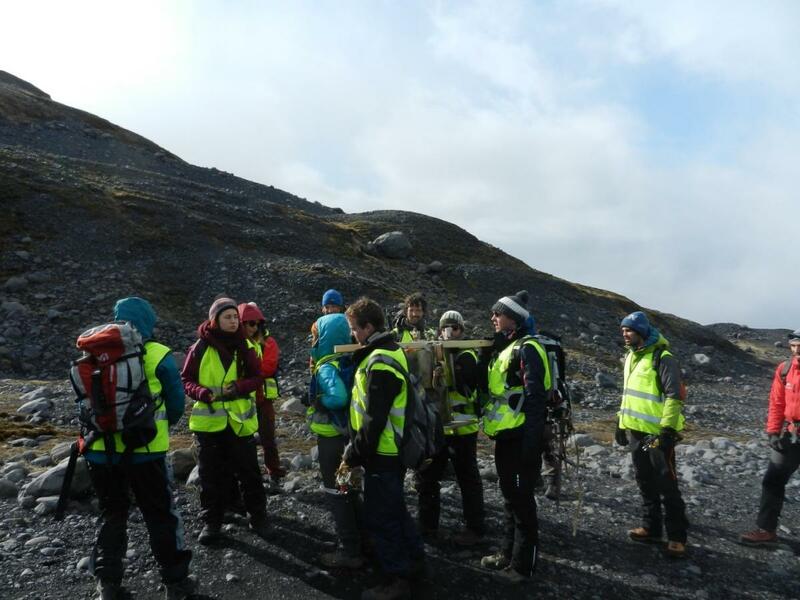 The steam drill is carried from the parking place to the glacier and everybody takes turn in carrying the load (photo Guðfinna Aðalgeirsdóttir). 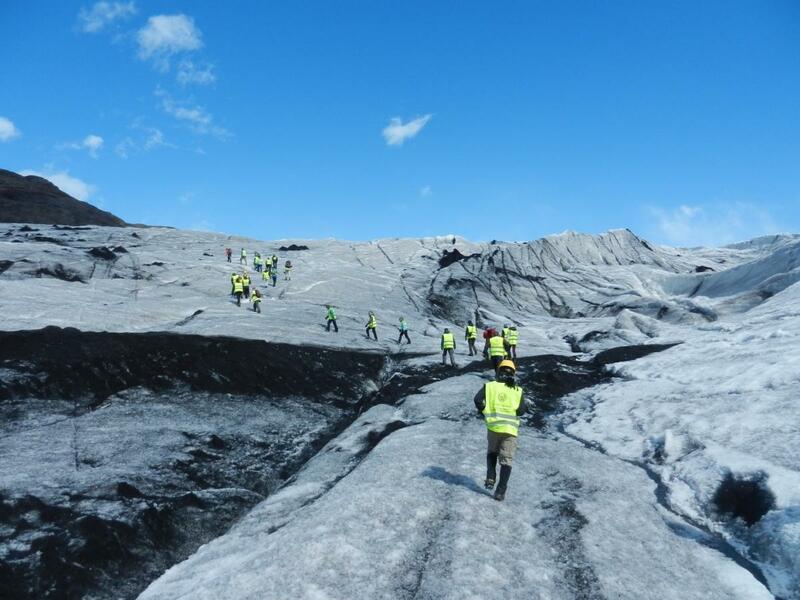 When everyone was ready the walk on the glacier started under the guidance of glacier guides from Icelandic Mountainguides (photo Guðfinna Aðalgeirsdóttir). 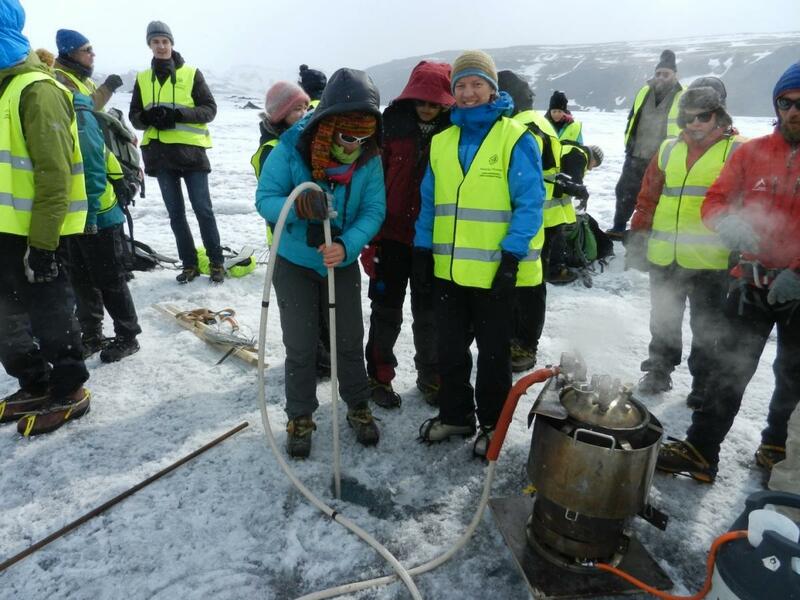 The drill is ready when the water is boiling and the pressure in the steam drill has increased enough for the steam to come out of the hose, the hose becomes warm so it is nice to warm cold fingers on it (photo Guðfinna Aðalgeirsdóttir). 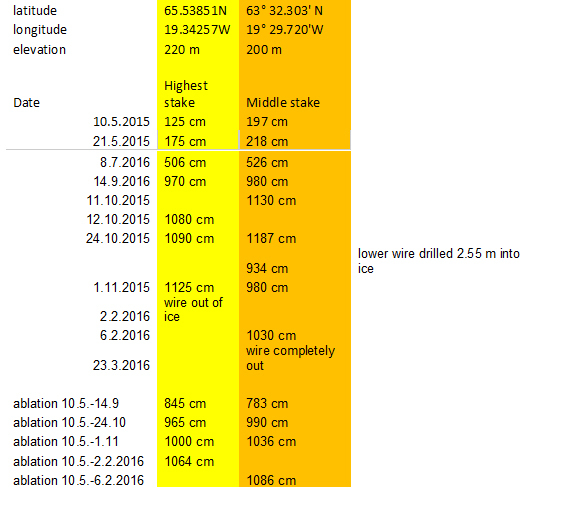 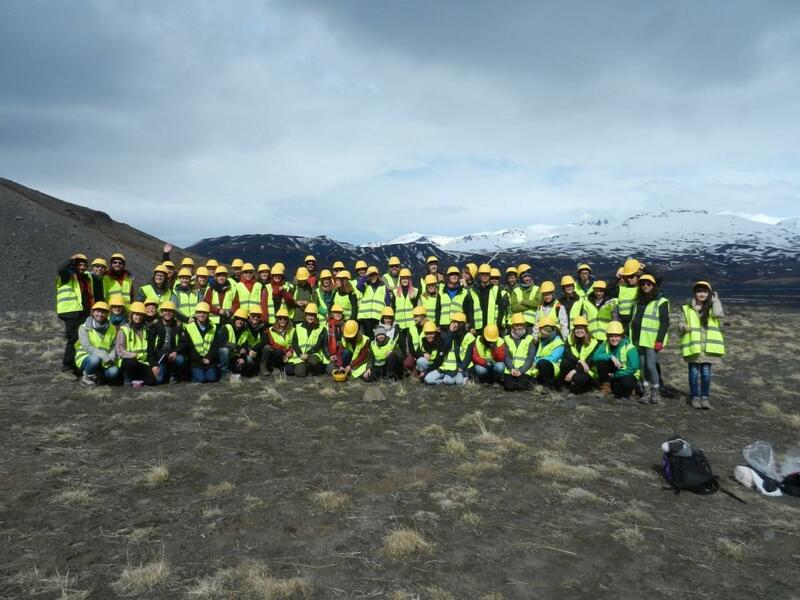 Students took turns in drilling the hole and both holes where about 11 m deep (photo Guðfinna Aðalgeirsdóttir). 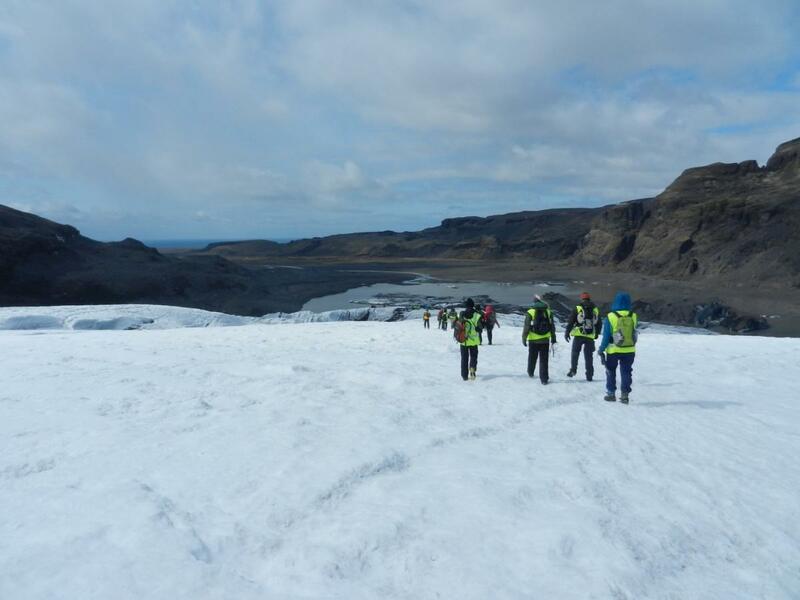 After successful drilling of two wires into the surface of the ice the group walks back down the snout of the glacier (photo Guðfinna Aðalgeirsdóttir).